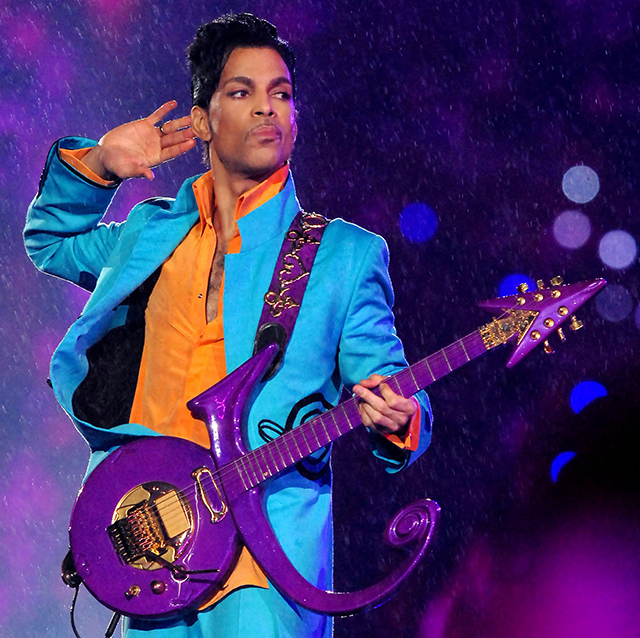 On the morning of Thursday April 21st, Prince Rogers Nelson – commonly known to the world as just Prince – died at his Paisley Park complex in Minnesota. He was just 57 years old. I’ve been a fan of Prince since his first album. I bought the first 3 on LP and played them a lot. My mom, as I’ve talked about before, didn’t like my music. Imagine her commentary on Prince’s second album, which was simply a photo of Prince with no shirt on and prominent chest hair displayed. It was the reason why I bought the “1999” album on cassette so I could easily hide it from her media-destroying hands [even though she found ways to destroy my cassettes as well]. I continued to purchase his music over the years. “Purple Rain”, “Sign O’ The Times” “The Black Album” “Emancipation” “Rave Un2 The Joy Fantastic” “The Gold Experience” “Musicology” and many more of the 39 studio albums he released in his short career. Given the vault of unreleased music that’s been discovered, I hope that many more of his works will find their way into our hands and digital libraries. I only saw Prince live once.. well, twice if you count the after show at a club in downtown Salt Lake City on April 25, 2001. My friend Gwen and I went to the full concert at the E Center. The show was incredible and he spent the better part of 2 hours performing the hits, deep cuts and fan favorites. Towards the end of the concert, it was announced there would be an after show at a club. Once we found out the club and location, Gwen and I found our way to In The Venue and paid the $25 each to the side door guy that let us in. Prince didn’t take the stage until midnight. About 10 mins before he took the stage, I found myself on the right side of the venue towards the side door. I looked over about a minute before Prince took the stage and there he was, standing right next to me. There were his handlers on the other side. I just stood there next to Prince for 30 seconds. No words were said. No photos were taken. No awkward stares of fan boy craze were done. Just me and his Royal Badness before he went on stage to perform another 2 hours of jazz and fusion jams. I wished I would have went to more live shows of Prince. He came to Utah a couple more times after that 2001 concert and for some reason, I didn’t go. In hindsight, I regret not going more often. He was an incredible performer and I am forever grateful to my friend Gwen for inviting me to go with her. The above photo is from his 2007 Halftime show at the Superbowl. In my opinion [and the opinion of many others], it was one of the greatest performances ever in the history of Halftime shows. It poured rain and he asked if it could rain even harder. The 12 minute performance was flawless, pouring rain aside. There was a medley of hits, both his and those of Bob Dylan, Foo Fighters and CCR. Starting with “Let’s Go Crazy” and ending with “Purple Rain”, I was riveted the whole time. I don’t recall a Halftime show before or after where I was so excited to see the performance. And I don’t recall a performance before or after that went off so well, given the uncooperative weather. Search the web for the video and watch it for yourselves if you’ve not seen it [as of this post, most have been taken down. Or if you have, re-live that moment in time. Many have paid tribute to Prince, but one that I enjoyed was Jimmy Fallon. Watch the above YouTube video for his words and experience. Prince, you will be missed. Gone way too soon. I think it’s so wonderful you got to see him live! (And stand next to him!) I heard he was such a great performer! He’s not someone that was on my radar for a long time (because of the music I was raised on) and it seems I missed out! Thanks. It was really cool to have seen him at least once. That is sad. Good thing there are many videos that show him live. What a great tribute from Jimmy. First time I’ve seen that. I can’t believe we’re living in a world in which both Prince and Bowie are gone. I was also lucky enough to see him live twice many many moons ago as a teenager at Wembley Arena in London. Such a showman, and two of the best concert experiences I’ve ever had in my life. Oh wow. Cool that you saw him live at Wembly. Prince was the ultimate showman. He will be missed.